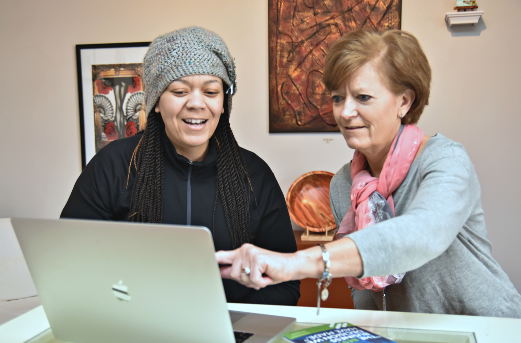 SCORE’s mission is to foster vibrant small business communities through mentoring and education. We aim to give every person the support they need to thrive as a small business owner. Our clients' success is our success. The quality of their experience at SCORE is the truest measure of our success as an organization. Small business drives our national economy through business formation, job creation and wealth building. Small businesses are critical to vibrant communities in our society. We are proud to enable volunteers, stakeholders and sponsors to give back to their communities. 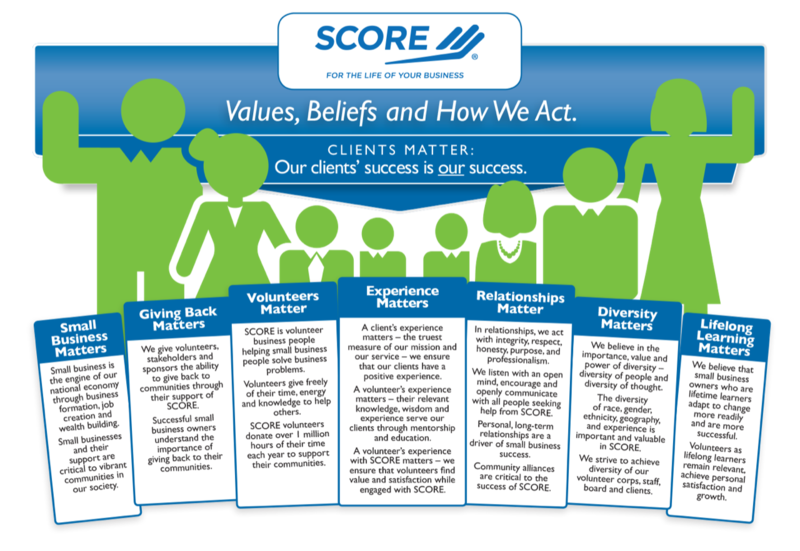 Volunteers give freely of their time, energy and knowledge to help others – and they are pivotal to the continued success of SCORE’s mission. SCORE volunteers donate more than one million hours of their time each year to support their communities. In return, we aim to make their time at SCORE engaging and satisfying. A volunteer’s experience matters; their relevant knowledge, wisdom and experience serve our clients through mentorship and education. In relationships, we act with integrity, respect, honesty, purpose and professionalism. We listen with an open mind, encourage and openly communicate with all people seeking business help from SCORE. Personal, long-term relationships – including those between mentors and business owners – are a driver of small business success. We believe in the importance, value and power of diversity – diversity of people and diversity of thought. Diversity of race, gender, ethnicity, geography and experience among SCORE volunteers, employees, board members and clients enables SCORE to effectively execute its mission of helping all small business owners. We believe that small business owners who are lifetime learners adapt to change more readily and are more successful. Volunteers as lifelong learners remain relevant and achieve personal satisfaction and growth.